People die to be in a place with natural beauty, valley, mountain ranges, pine forest, and snow. If asked about their dream house they will definitely have all these in it. A house with all these, in addition to, apple orchards, quaint places, cold breeze, romance and the presence of a divine force. It is very interesting that India in spite of being a land of diversity does not have a State with all of these in a single state. But for, the state of Uttarakhand, where you find, the place of God, mountains, valleys, nature’s beauty and the quaint place. 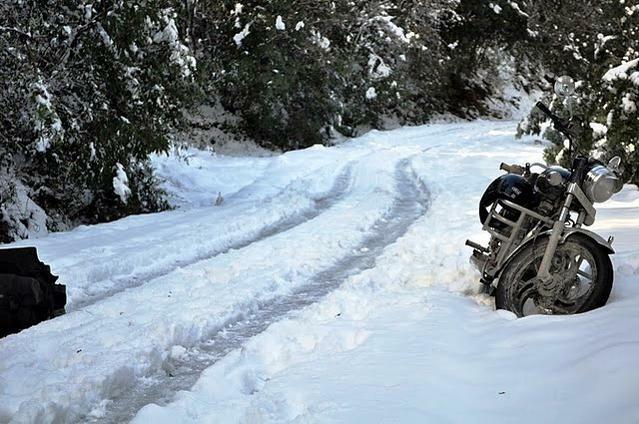 Let’s explore places where you can find snow in Uttarakhand. It’s true, the place is so very romantic that, even today, newlyweds go for their first holiday or honeymoon to Nainital. Situated 274 kms from the capital Delhi, this place is full of snow clad mountains, lakes; beautiful valleys and you also get the chance to walk along the famous Naina Lake. 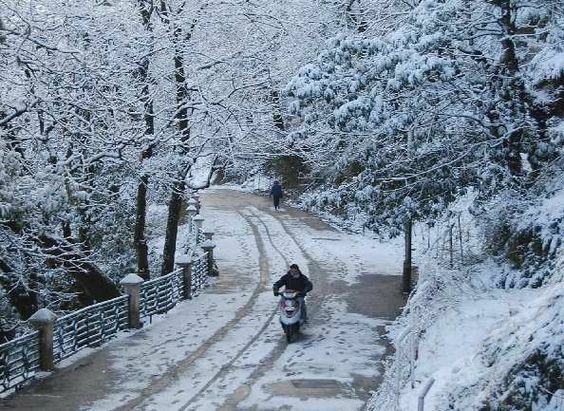 Known for its fascinating, mesmerizing snowfall, the soft cotton like snow when showered on the lofty mountain peaks and the huge pine forest, they get covered with a thick blanket of snow. This place is as beautiful as it is adventurous. The road to Auli is about 510 kms from Delhi and as you approach the final lap of the journey you start getting the feel of the adventure. The giant mountains, the vast valleys, stretch of mountain slopes and beautiful landscape with a thick soft blanket of snow all over. The place is known for Skiing, trekking, and snowboarding. One should enjoy the panoramic view of the peaks of Himalayas. 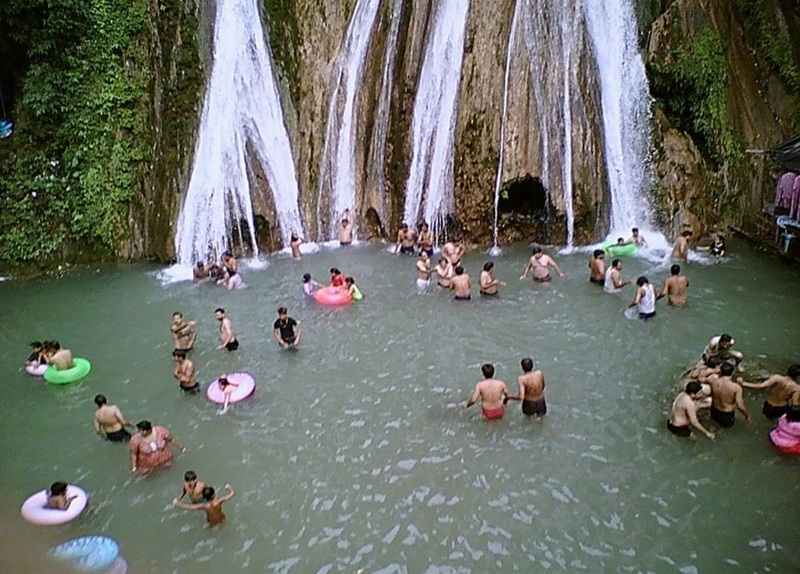 Though unexplored by many these places is gaining popularity because of its raw and enchanting natural beauty. It is situated along the banks of the river Goriganga and is full of snow, glaciers, mountains and trekking routes. It is said to be the ancient ‘Salt Route’ to Tibet. This place will be highly appreciated by snow lovers, mountaineers, trekkers, and skiers. In addition to the heavy blankets of snow, because of which it is also termed as “Mini Kashmir”, this place has “Hot water Springs”. 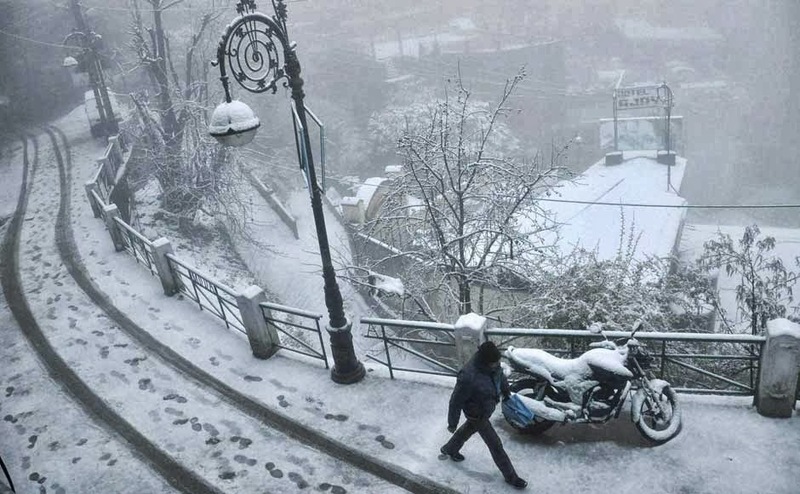 Situated just 24 kms from the Hill station Mussoorie, this place is famous for its thick beautiful deodar, oak and pine forests covered with a heavy blanket of snow during the winters. 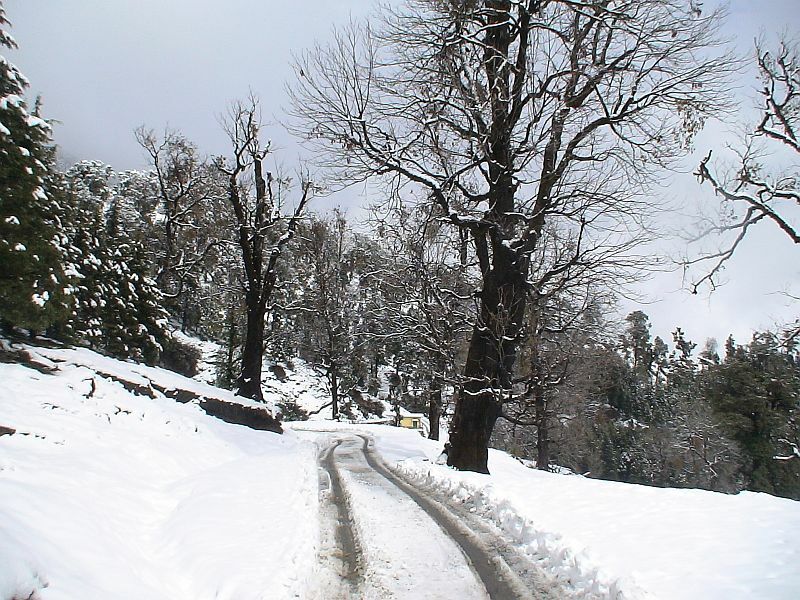 The picturesque panoramic views of this place in winters are the first to witness the snow and are in full bloom. As this place is the originating point of a lot of trekking routes, it’s the best place for camping in the snow. You enjoy the beauty of nature in the lap of the snow filled valley and surrounded with lofty white snow-crowned peaks and giant cedars. Bird watching is one of the famous pass times here. Best time to visit, for snow, is from Decembers to late March. Rich in cultural diversity, stunning picturesque views, magnificent natural scenic beauty, chilly winters and snowy lands this place is the perfect for a “Snow Loving Family”. 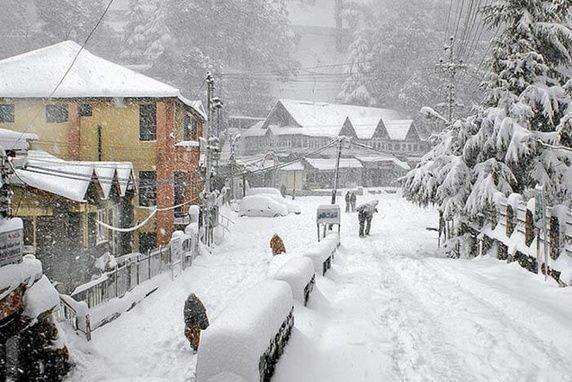 Ranikhet and Kausani are also very near which are other two nearby destinations for snowfall. 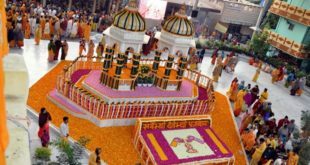 The nearest railway station is Kathgodam which is 81 km away. Best times to visit are April to June and September to November. 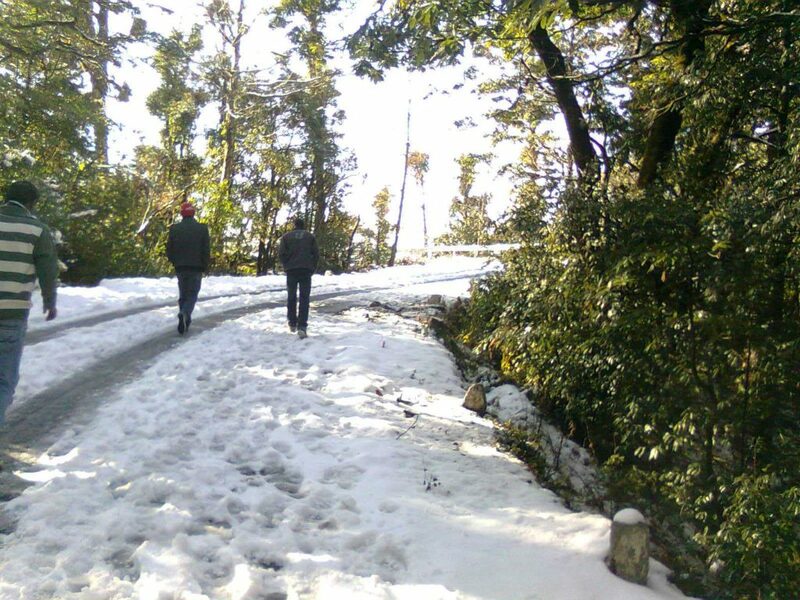 This place is just 40 kms from Mussoorie and is famous for its snow trekking. The trek till the Nag Tibba top is quite famous, fun, and tough. The feel of ultimate victory comes when you finish the snow filled trek and in between keep enjoying and playing in the snow. The summers are even more fun as one can camp at the Nag Tibba. About 25 kms prior to Gangotri Temple and at an altitude of 2620 meters this snowbound place is famous for its picturesque landscapes throughout the year and at times the snow becomes the cause of the trouble. It is advised to enjoy and be back on time. The idol of River Goddess Ganga is kept here for some time of the year. Dharali is another great snow destination to visit and is quite near to Harsil. 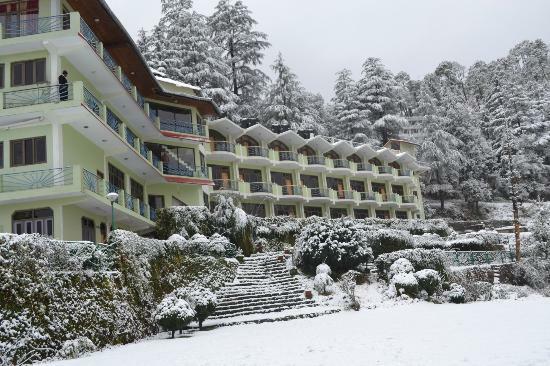 At an altitude of 1890 meters and just 52 kms from Almora, this place is full of snow and the time just stops here. You can watch the unlimited stretch of snow during the Sunrise and Sunset at a backdrop of the majestic “Trishul Peak”. Frequent snowfall here is breathtaking. Best time to visit Khirsu is in the month of January and February when the undiscovered meadows at an altitude of 1700 meters, gets covered by the snow. About 380 kms from Delhi, this peaceful, untouched, enchanting place is the concluding point of your love for snow and snowfall. Discovering Uttarakhand just by reading about it or experiencing it on a video is not sufficient unless until you feel it n person. It’s time to schedule, pack your bag and launch your tour! 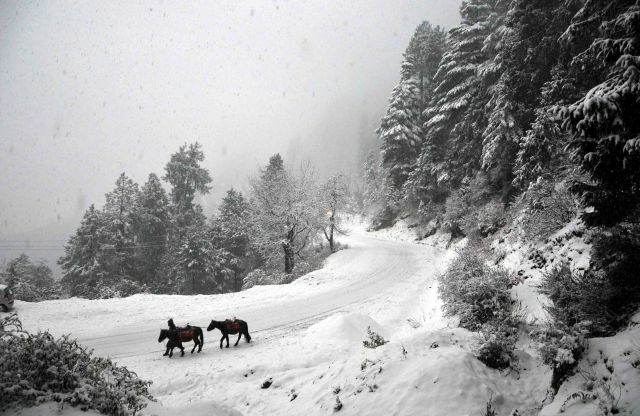 top 10 places in uttarakhand for snowfall is a excellent blog. Nice blog i read your blog thanks for information and here is the image is very good images thanks.